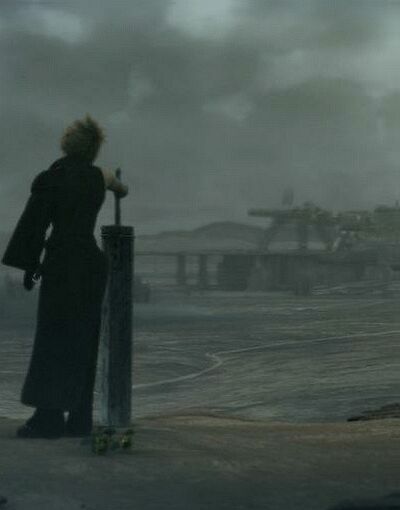 You’re probably well acquainted now with Final Fantasy VII: Advent Children, Square Enix’s soon-to-be-released CGI movie that continues the story of Final Fantasy VII. As is typical of a Square product, details on AC have been trickling out about as fast as molasses, but that’s not really what this feature is about, because just as Advent Children revisits the world of FFVII, so does our Advent Calendar. While we may not be entirely in spirit with the holidays, we are sticking to the essence of an advent calendar, providing 24 daily bite-size writeups that look back on FFVII’s characters, merchandise, fanbase and other random things related to the game. It’s been 6 years since the game’s been out (but it’s getting closer to 7! ), so drag out your old scratched-up copy and start a new game, but don’t forget to pause every once in awhile to check up on us.